You know everyone says the “Money is in the list”. But with a crowded online space, you need to find how you can stand out. 3 What If I Have No Idea How to Write a Quiz? Here’s the truth…people love finding out more about themselves. We all love taking quizzes in magazines and we love finding out what group we fall into. Enter the perfect traffic driver and email list builder for your blog. Recently I was looking for new ways to start growing my email list and more important, how to segment the people once they were on my list. 10% of people who take quizzes share their results on social media and with their friends. This means free traffic back to your blog and more ideal customers finding you and joining your email list. What If I Have No Idea How to Write a Quiz? After I decided I wanted to try making a quiz, I realized I had no idea how to write one. How would I figure out the questions, and which responses let to which answer? Plus how did I make the quiz sound fun? Interact is a quiz builder that provides over 100 ready-to-go quiz templates so you can start building your quiz and email list today. 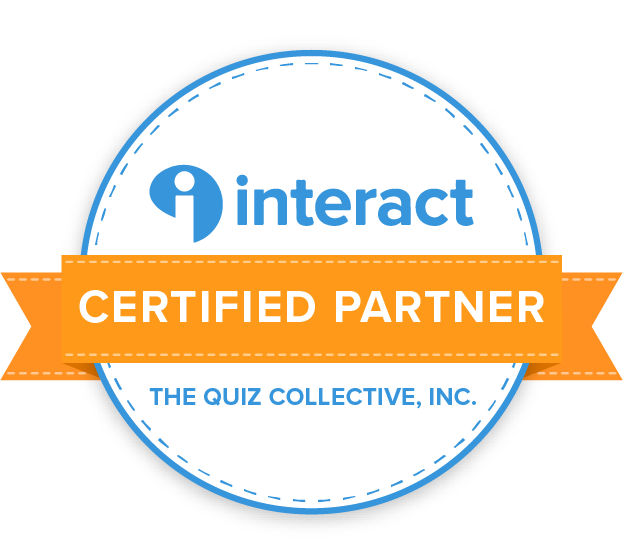 You can easily start your quiz by signing up for a free trial with Interact. Click on Create New Quiz. You can decide whether to use one of Interact’s templates or start a quiz from scratch with your own questions. Select template to chose what Industry you want to focus on. Next, pick the quiz type. You can choose between an Assessment quiz (testing knowledge), Personality, or a Scored Quiz. You next pick from the available templates. And pick Use This Template. Turn on Integrate to link the quiz to your autoresponder. You can update any images and questions – plus change colors to match your branding. Now your quiz is LIVE and you it’s time to share it on social media to start building and growing your email list. I used one of the quiz templates to see if it worked. Here’s some results just sending some traffic for less than a day. As you can see I had 35 people start the quiz but only 8 complete. So this tells me for my audience I should probably remove some questions to encourage people to finish. This quiz had over 10 questions and probably too many to keep interest. But with this data it’s easy to change and improve and continue to give what my ideal customer wants and engages with. It’s so easy to stand out from the crowd and start a quiz help your customers find out more about themselves and how your products and services can help them. I’m excited to hear about your results. Let me know how you plan to use quizzes to build your email list. Oh yay! I know I was looking for a while too and was so happy to find Interact where they already had plug and play quiz templates. I’m about to kick off another quiz this week to lead to an email course I want to do. Let me know how it goes!